Members of Richmond’s cycling community gathered beside the family of Corey Frazier Wednesday night to memorialize a young man who died in a traffic collision while bicycling through the Fan recently. 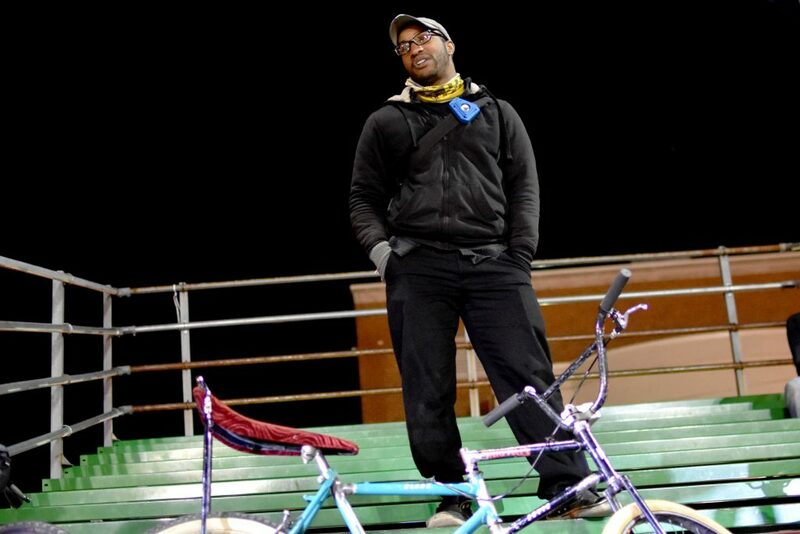 Frazier, 21, was a VCU student who worked at Max’s on Broad downtown, and used his bicycle as a means of transportation. Family, friends, and coworkers convened before the memorial ride in Federal Park, near the site of the crash, while bicyclists handed out lights donated by local advocacy group BikeWalkRVA. 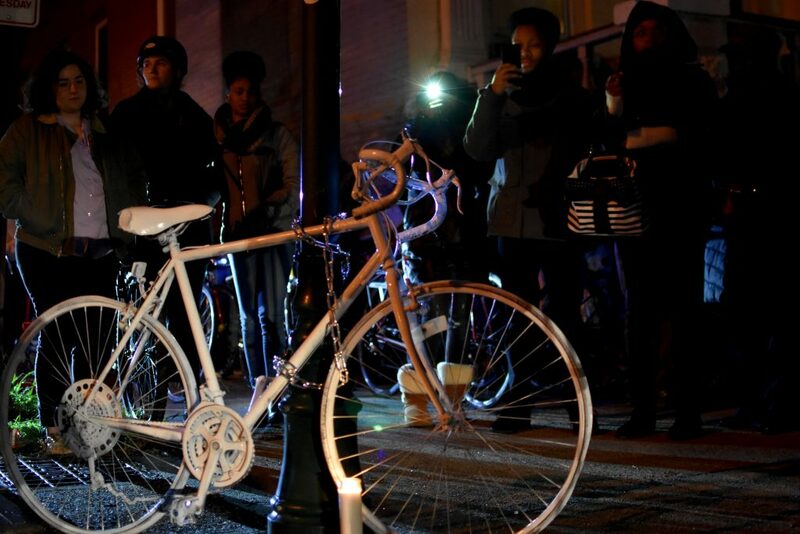 After the light giveaway, participants walked around the corner to the crash site at the intersection of Rowland and Main to lock a white-painted ghost bike to the street sign post, as a memorial to a man friends described with adjectives like brilliant, hilarious, and unique. After a candlelit moment of silence, route planner Mark Boerner addressed the gathering to lay out safety rules for the ride. Above all, he stressed the importance of being seen and communicating with each other, then led some 70 bicyclists on a journey in honor of Frazier. 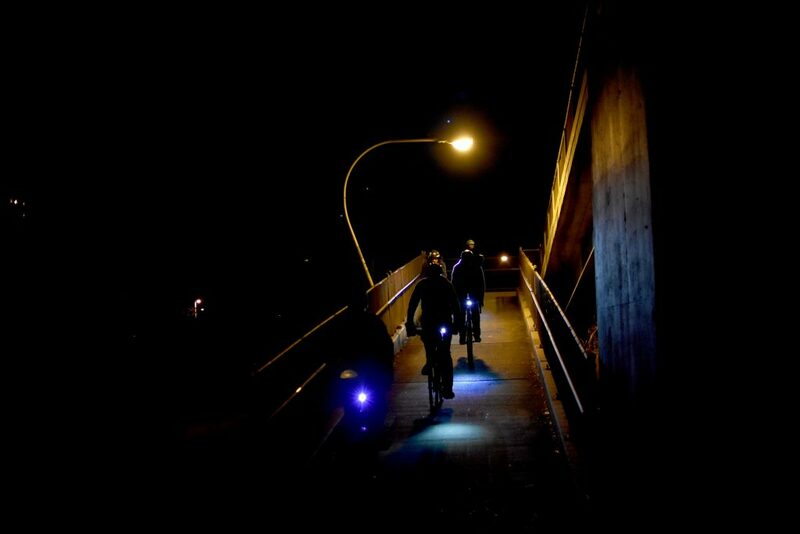 The event was planned by a coalition of bicycling groups, including local participants in the global event Critical Mass and DFL, a social bicycle club that hosts weekly evening rides. As the ride meandered through the Fan, riders got to know one another and shared reflections on Frazier, safety, and the state of the bike community in general. One man said he didn’t know Frazier, but came in from Hanover County for the ride. “It’s important for us to come together at these moments,” he said. The riders stopped at Randolph Community Center after crossing the highway on a small pedestrian bridge. 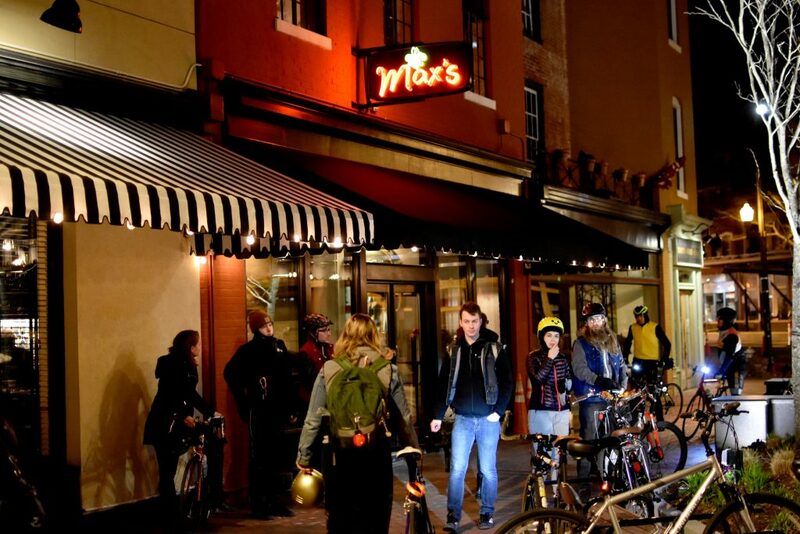 Riders headed over to the basketball court where a coworker named Mike climbed the bleachers to share memories of bantering with his friend over basketball and football on slow nights at Max’s. The procession continued down Grayland Avenue to Harrison Street into the heart of VCU, where riders rode in circles around the VCU compass. Cutting over to Shafer Street onto Marshall Street, riders continued to Max’s, where they met up with Frazier’s family and restaurant staff for hugs and remembrances before breaking into smaller groups sitting around the Maggie Walker statue. Another organizer, Daniel Reiner, was there as a participant in Critical Mass, a ride that meets on the last Friday of every month for an event that’s part protest, part moving party. He said he partnered with DFL because “it just made sense to turn this ride into a memorial,” talking about the spirit of community and sense of loss felt by riders from groups all over Richmond. “This is the third ghost bike we’ve done, and I hope we don’t have to do many more,” he added. Many riders were happy about developments like the new bike lane coming to Franklin Street, but also expressed feeling disconnected from the city on infrastructure, speed limit enforcement, and other issues, describing work as infrequent and oftentimes short of where it needed to be to make a safer Richmond. 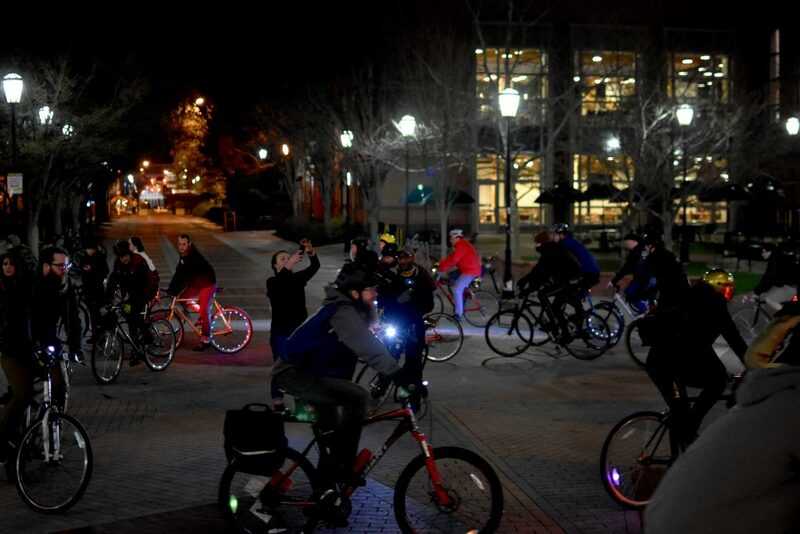 As the evening ended, participants found others traveling in the same directions, and set off as smaller groups for safe, well-lit, rides back home.